Creativity is flow. For me, it comes through when I release resistance and clear out fear. As long as I’m worried about writing or drawing badly, I’m not creating. When I let go of the fear, I open to what comes. And sometimes, that leaves space for flashes of inspiration to appear. Inspiration is great and all, but you can’t wait for it to strike. 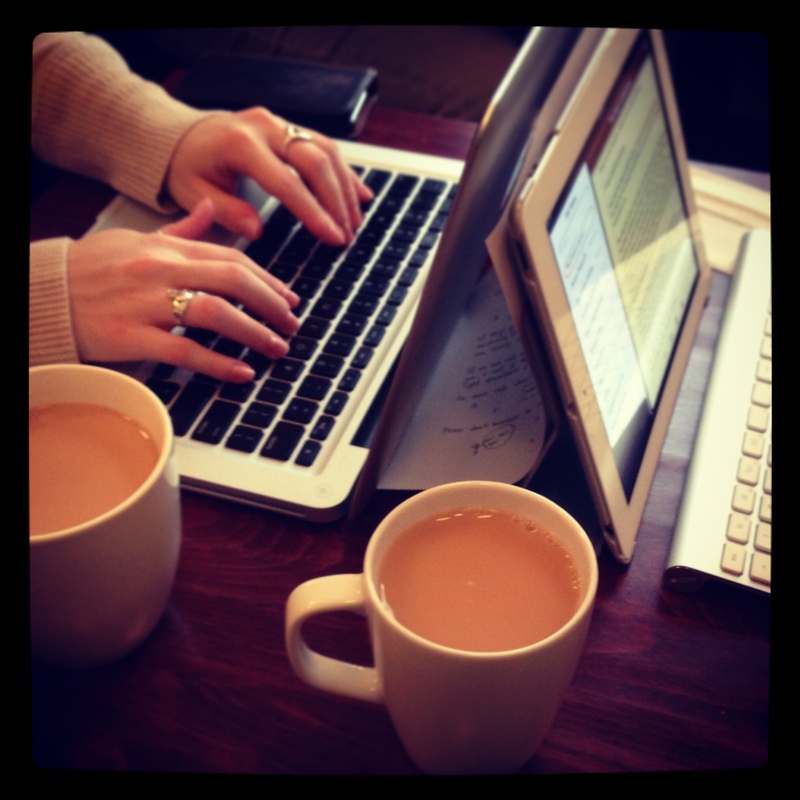 Typical writing advice will tell you that the best place to be when your muse hits is in front of your computer. (Or notebook, or whatever.) Confession: I haven’t spent a lot of time at my desk lately. 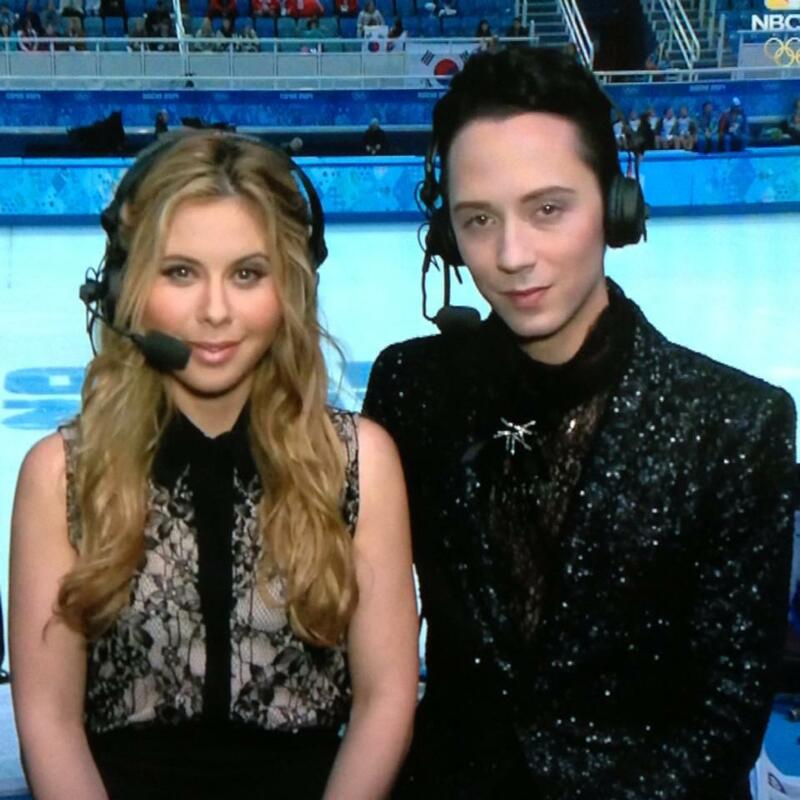 Tara Lipinski and Johnny Weir bring high fashion and legendary shade to the rink. I gave up a lot of writing time this month to the Olympics. I still can’t tell the difference between a triple toe loop and a triple lutz, but the live daytime figure skating coverage with Johnny Weir and Tara Lipinski was too good to miss. As a result, I’m now left with just three weeks before my self-imposed deadline: I want a complete draft of my 2013 NaNoNovel before I go to a writing conference next month, because I’ve signed up for a pitch appointment. Yesterday morning I listened to a 13-minute long guided meditation podcast from Meditation Oasis called “Enhance Your Creativity.” (I highly recommend their podcasts.) During the meditation, I finally connected with the villain of my current WIP. I discovered how the character feels and what he wants, and developed some details for his background. Feeling good, I started my day with the intention of getting a lot of writing done. By 8:30pm, I hadn’t written a word, yet I was inexplicably exhausted. The day had disappeared. I passed out on the bed with all the lights on, and woke up at 1:30am this morning feeling parched and with my mind on my novel. A scene popped into my head involving the villain, the hero, and the heroine. I ran through the entire scene, figured out exactly where it would fit into the plot, and then dragged myself out of bed. “I just figured out a scene I need to add,” I told Boyfriend, who was awake and drawing. “Well, you better write it now,” he said. So I booted up the computer and sat down to write. After a week of resistance and giving my time away, I couldn’t ignore this jolt of inspiration. Perhaps writing while tired also unlocked me a bit. With less energy to devote to fear, creativity can flow. I do all of my best mental writing while waiting to fall asleep, and I often end up jotting down notes on my phone. This time, I made an embarrassing number of typos, but I wrote out the full scene, and even did another pass over it. No longer tired, I looked over some other scenes, made a few changes, decided which sections I’ll go back and fill in next, and calculated the total word count — around 60,000 words. I want to add another 30,000 words and still leave time to do a full pass over it before the conference. Now that the Olympics are over, I’ll have to pick up the pace, which means writing when I don’t want to write, and especially when I do — even if it’s at 1:30 in the morning. Hello!! Thought I’d drop by your blog. That post is so true, so many times when I’m knackered and half asleep I do much better work, because my nasty self editor voice is off. In fact same as you, I so often find mysled having to make notes on my phone when I’m waiting to drift off to sleep (which inevitably means I stay awake for ages). I’ve never tried to get up and write during those times, maybe I should.